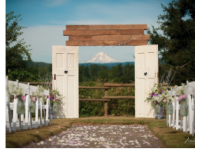 Located in historic Fairgrounds Park, the Battle Ground Community Center is the perfect venue for most any occasion. The Contemporary Northwest Lodge style facility offers three different size rooms to host any type of gathering. Free parking included with rental Our mission is to help make your event a success by providing a quality venue at a great value! Let our Place become your place for your wedding and/or reception. It's your day and we only schedule one event per day. The beautifully renewed 2750 sq.ft. pavilion with knotty pine paneled walls with a huge rock hearth provides indoor space to use rain or shine. 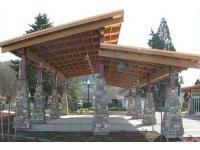 The log and cedar outdoor stage and romantic gazebo are two of our most popular outdoor ceremony sites. The beauty of forest, field, tumbling creek, lawns, shrubs and flowers surround all the spaces. Indoor seating for up to 300. Oakview Acres is located in historical Canby, Oregon enhanced by the surrounding oak trees, Mt. Hood view and miles of rolling hills providing you with the perfect backdrop. 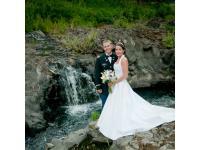 Oakview Acres can offer your choice of the most formal of events or casual gatherings. Each event reflects your own style whether you hire our professional staff for full event planning or cover all your own details, we give you the flexibility to make your event unique to you and your ideas.